This unique holster design allows you to forget old-fashioned thumb breaks that slow your draw and complicate re-holstering. The patented Serpa lock engages the trigger guard as you holster the pistol and won't let go until you release it. The release is made using your normal drawing motion, with the trigger finger beside the holster body. As your trigger finger naturally comes to rest on the Serpa lock's release mechanism, simply push the mechanism as you draw the weapon and it releases the gun for a smooth, fast draw. No awkward use of a middle finger release or thumb break to interfere with a full combat grip, the Serpa lock lets you draw the weapon quickly while establishing a full grip from start to finish. Unlike thumb breaks, which can sometimes be difficult to fasten one-handed, the Serpa lock allows you to re-holster quickly and securely every time, using only one hand. The SERPA holster has the same speed cut and concealment enhancing design of our Standard Model Carbon Fiber Holster. 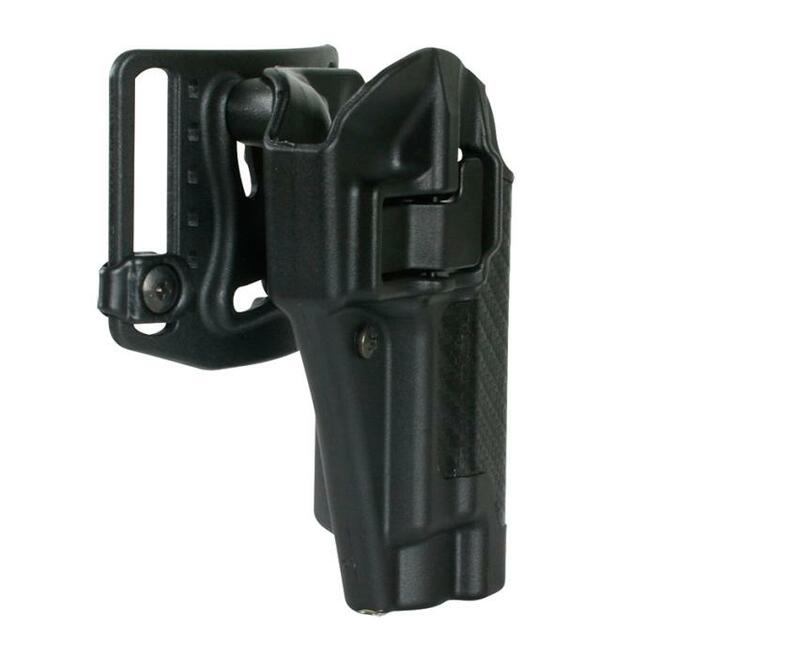 All BlackHawk CQC Serpa holsters come with both belt loop and paddle platforms. Belt Size Up To 2"